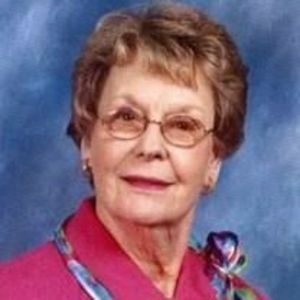 Mary Taylor Cain, 90, of Liberty departed this life on Tuesday, April 18, 2017 from Canton Nursing Home in Canton, Georgia. Mary was a member of First United Methodist Church, Liberty and the Wesley Sunday School Class, serving as its president for several years. She has been awarded the Layperson of the year and was known for her love for everyone in the church, she displayed that by her many visits, phone calls and cards that she sent. She was a member of the Nurture, Outreach, Witness and Evangelism Committee and the Women's Bible Study in Liberty. She was a life member of United Methodist Women and the Dorcas Circle, serving as chairman of the circle for several years. Over her years of serving in many different churches that she has been a part of, she has been chairman of the Administrative Board, youth director, choir member; a life member of Disabled American Veterans Auxiliary and a charter member of American Business Women Association of Gettysburg, PA. She was a graduate of Kings Business College of Raleigh, NC with a degree in Secretary and Bookkeeping. Her 51 years of career life took her to many places of employment, including Addressograph/Multigraph Corporation, Burlington Industries, Inc., Selig Manufacturing, NC Memorial Hospital, Wilson County Technical College, New York Life Insurance Company, Corporate Life Insurance Company, WOW Incorporated, Gettysburg, PA. After moving back to NC in 1988 she worked for Belk Department Store, Siler City, NC. A funeral service will be held on Saturday, April 22, 2017 at 1:00 p.m. at First United Methodist Church, Liberty; burial will follow in Fairview Cemetery. The family will receive friends on Saturday, one hour prior to the service in the church fellowship hall. She was the daughter of the late Carries and Debbie Jarman Taylor and was also preceded in death by her husband, Eddie Wesley Cain. Jr.; daughter-in-law, Brenda Joyce Cain and sisters, Louise Whaley, Evelyn Whaley, Julia Whaley and Aileen Whaley. Surviving is her daughter, Shiela Benz and husband, Michael of Canton, GA.; and son, Eddie Wesley Cain III of Myrtle Beach, SC; grandchildren, Eddie Wesley "Wes" Cain IV and wife, Dana of Indian Trail, Taylor Benz Middleton and husband, Adam of Auburn, AL, Madison Jayne Benz and John Michael Benz of Canton, GA; great-granddaughter, Brendan Irie Cain of Indian Trail and great-grandson, Wyatt Wesley Middleton of Auburn; sisters, Frances Kennedy Orfield of Beulaville, Christine Nethercutt of Pink Hill; brothers, John Taylor and Donald Ray Taylor of Pink Hill and several nieces and nephews. At the family's request, in lieu of flowers, memorial contributions may be made to First United Methodist Church, PO Box 220, Liberty, NC 27298. Loflin Funeral Home, Liberty is honored to serve the Cain family.